Beauty Care Choices: The best formulation for your skin type! When it comes to skin care, we've all experienced disappointment. Quality skin care products can be expensive so the more you know before you buy can better the investment. Getting the right formulation for your skin will help to insure the product you buy is the product you use and not just another jar or bottle that ends up in the back of the cabinet because you paid for it and don't want to throw it away. Selecting the formulation (delivery system) is not just about what you are partial to but what benefit that particular formula has for your skin. Today's products have lots and lots of science behind them. You can use the chart below as a good guide for choosing what will work for you. Milk & Lotion Sensitive skin which is easily irritated, can become red and itchy. 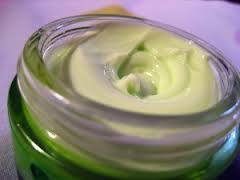 Balm Extremely dry or dehydrated skin that is flaky or cracked and feels tight. Micellar Water Normal and sensitive skin which has minimal irritation. Gel Oil & acneic skin that breaks out easily and/or is inflamed and congested. Powder Normal skin that usually has minimal oiliness or dryness. Foam Extremely oily Skin that is greasy to the touch and shiny all day long. Thick Cream Dry, dehydrated and mature skin that shows signs of aging and a loss of elasticity.